The concept for the final project is “Uncanny”. 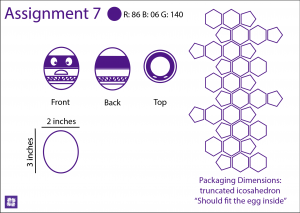 Design your toy using any of the techniques we have seen during the semester. 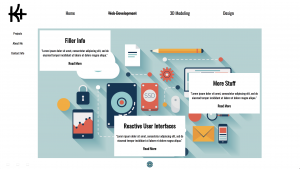 You will need to define a user and create a design concept while keeping in mind that this should have an uncanny element that will help to produce a playful experience. Give your toy a name and present it as a product. 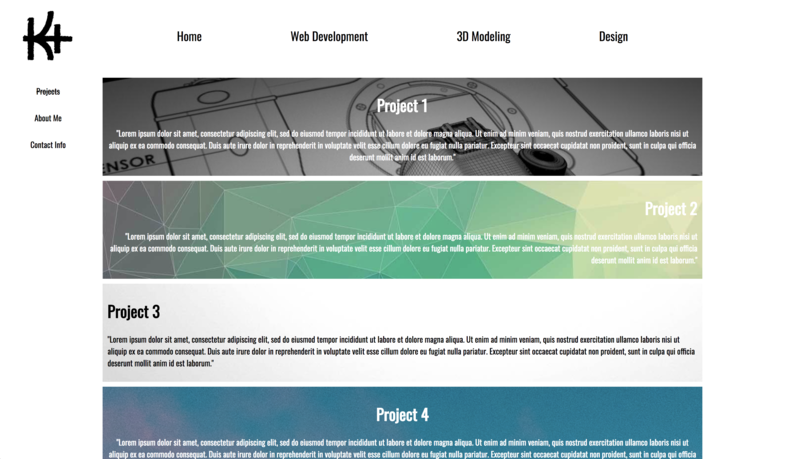 In order to do that make renders, packaging, logo, comics or any resource you think will be helpful. Interactivity in video games are superficial. 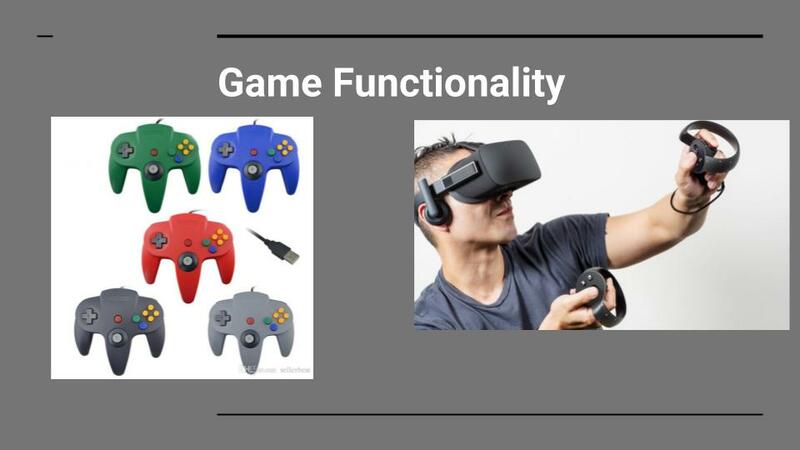 Users operate controllers that input feedback in games, however, the games themself remain the same. 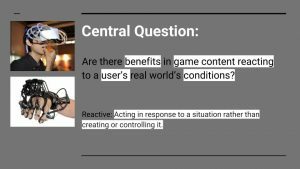 Game content, regardless of user input restricts and ultimately controls them and their emotions. Despite tremendous advancements of input capabilities for controllers in recent years, the rise of virtual and mixed reality is simply the evolution of the controller. Immersion too has experienced great advancements but users are still dictated by the game, limited to the game developer’s vision or lack thereof. 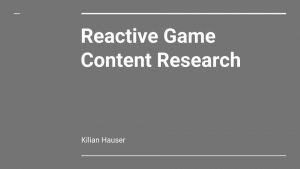 Reactive game content challenges this paradigm of game experience and controllers. By yielding more control to the users, it has the potential to make interactivity less superficial. 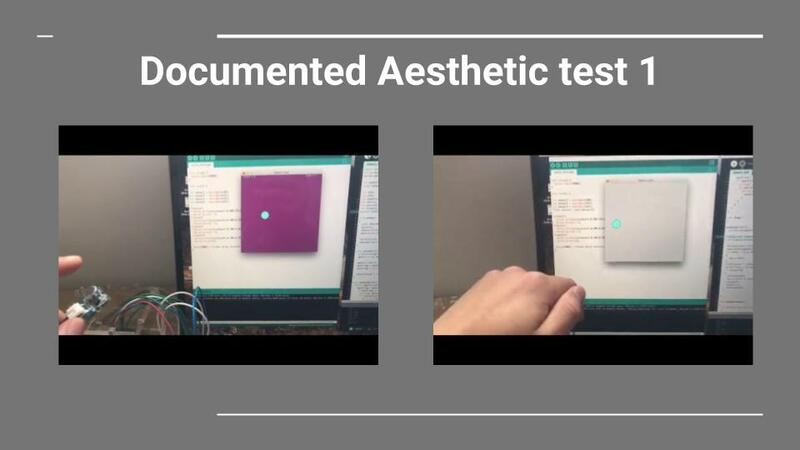 My prototype is proof of its potential, It being a device that relies on sensors to capture an user’s environment’s ambient light, sound, and temperature, enabling the creation of games with reactive content. 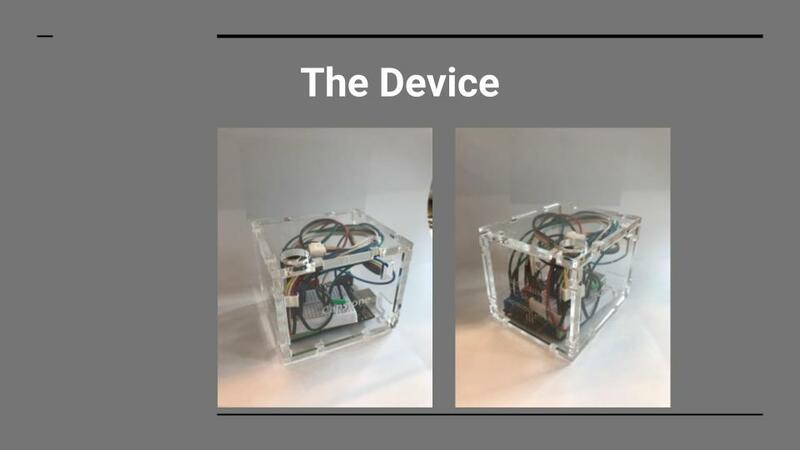 Depending on its execution, the device can create specialized experiences based on the environment’s condition. 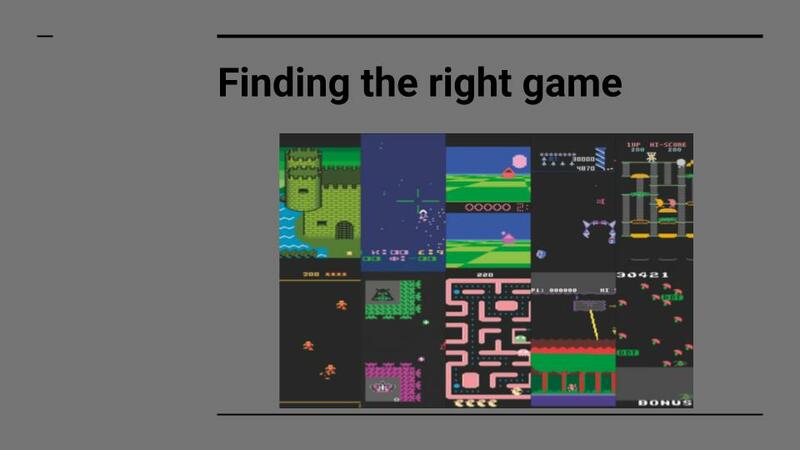 Others have attempted reactive content before, focusing on the randomization of elements/events throughout games rather than exploring meaningful connections between games and users. 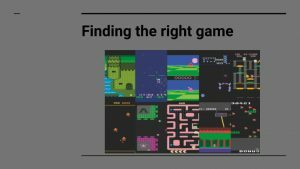 Randomization adds complexity to games but detracts from the user’s control. 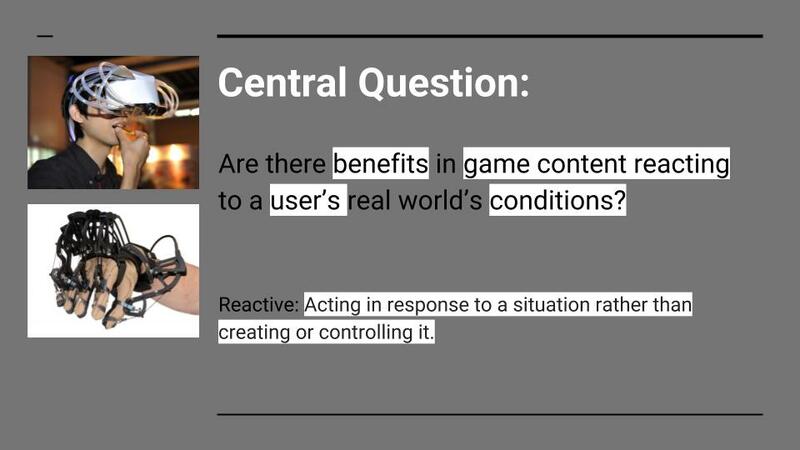 I argue for the importance of an user’s ability to control more of their input because ultimately a customer is the target audience and their emotions, these intangible connections to games result in more interactivity and potentially greater joy received from playing the game. To find some proof behind this conjecture I explored different games and connections with the implementation of my device. 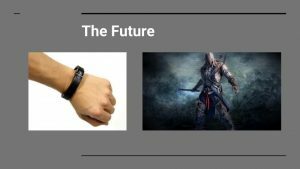 From my research I have found that combining sensors and game content is effective in creating meaningful reactive game content. Targeting the relationship between the environment and user specifically, I was able to discover logical connections to exploit via reactive content that increased interactivity. 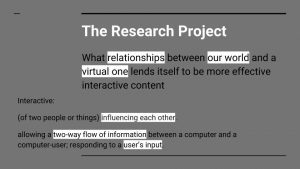 Going forward, I believe my findings warrant more research behind different connections between users and game. Expanding reactive content to include APIs and physiological and psychological sensors will open new doors for interconnectivity between users and games, potentially evening out the relationship between the user and game content. 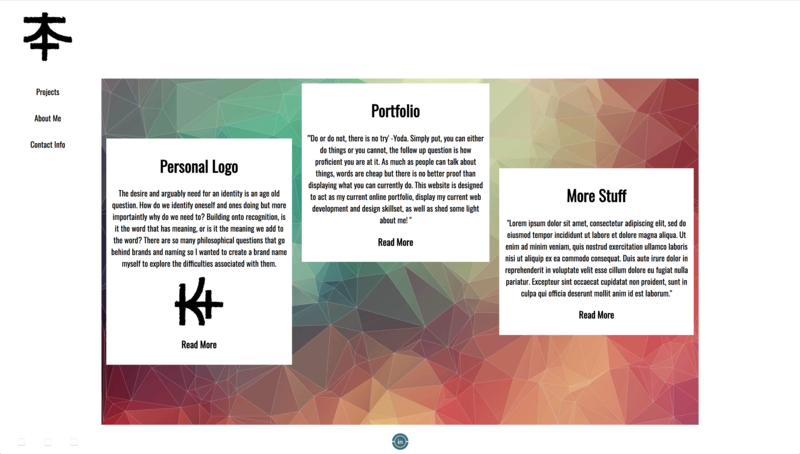 For my final project, I decided to code a personal online portfolio where I hope to display my competence in react.js and web development for future employers. 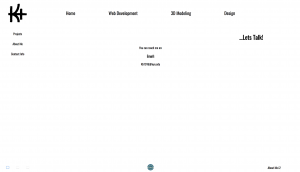 By designing and coding my personal portfolio from the ground up I can display my capabilities with the software beyond stating that I am proficient in it on a resume. Additionally, this approach provides me full control over the design and functionality- limiting me to my abilities and imagination. Furthermore, it will in the future force me to maintain my skills when I add or change content. The design of my portfolio is twofold. 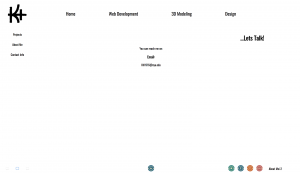 First, it is a site where I can showcase projects to future employers and secondly, be a place where I can showcase my personality and current projects. From my research on other portfolios, I found that they tend to be one of two genres with the third style not really being a happy medium. Portfolios tended to be either super clinical- specialized so much that it lacked character and broad usability or on the other hand having too much character and content that it was not professional enough. I could not find a happy medium between these contrasting ideas and so I wanted to create a way myself. With routing from react.js I made specialized landing pages that I can specifically link to on my resume depending on the job requirements I am applying to. 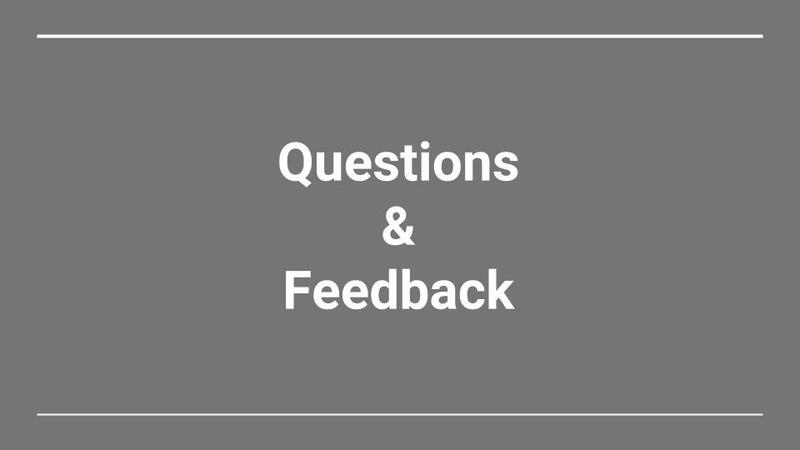 The viewer would be able to see my top 3 projects that I believe exemplifies what they are looking for but gives them the functionality of looking at other projects, About Me, and contact information. 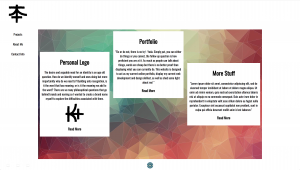 As you can see that my logo turns depending on the page and also information in the top navigation bar appears/ disappears so to be hidden if someone only wants to see the basic information but enables further exploration if interested. 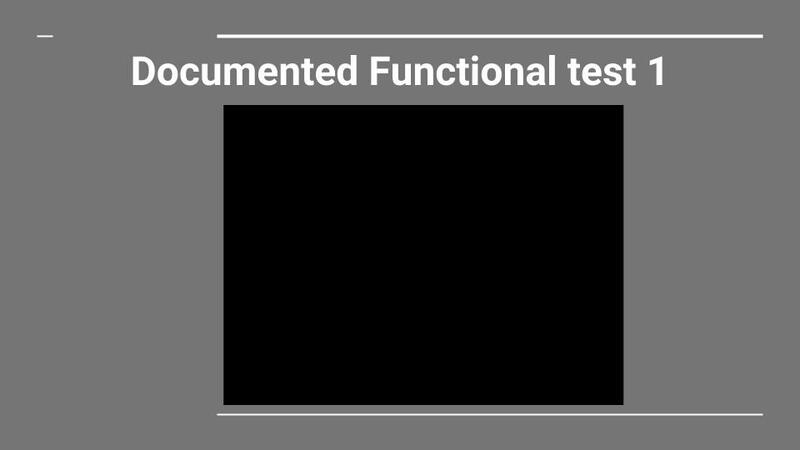 This portfolio also has some character with 3 small buttons on the bottom left of the page that enables my fun side to be injected into the someone clinical feel. The buttons currently display more social media links other than Linkedin and an additional about me page that can be accessed if one finds this link names About moi 2. 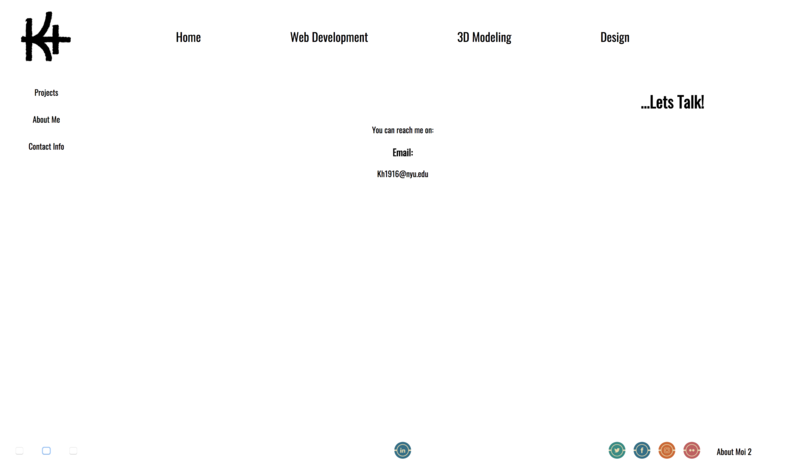 I am satisfied with my ability to separate and integrate this professional and personal side to my portfolio but I believe I need to work on more animations and minor interactive elements that are rather basic right now. I want to add a playful feel to the portfolio when one explores its contents. Write about your first guess about the mechanism of a toy you will choose in class. Document the opening process and explain the mechanism you found inside. 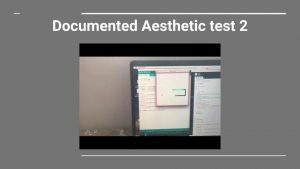 Assignment: Test your project with at least 3 people from *outside* of your section, ideally people who fit into your target audience (you can test with the same people as before if you’d like). Write a blog post reflecting on the experience. In particular, you’ve done a considerable amount of user testing at this point. What is left for you to do? 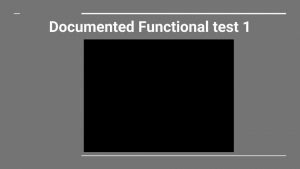 Did this most recent round of testing change anything? 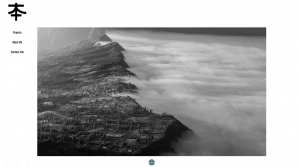 Assignment: Pick an idea for your final project and post a short paragraph on the class blog. The paragraph needs to state which user interfaces you’re building, who you are building it for, and what makes your UI different than what currently exists. You will be paper prototyping this idea in class on Monday. Note that this blog post does not need to have actual design/competitor research. We will do that in the following weeks. Once you have picked your idea, you cannot change it. The implementation may change, but the core focus should not. Design a character and make the turnaround, you can also try to make it from a simple toy. 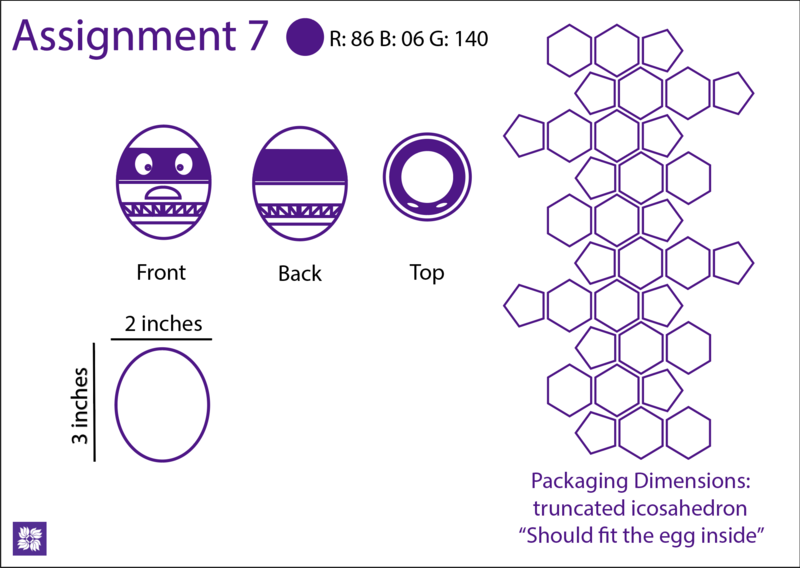 Design a packaging for your toy. 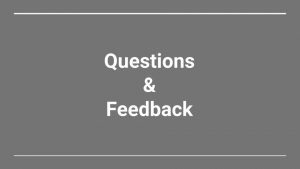 Post your exercise on the blog. I wanted to do a little something special for Easter this year and so I made an egg ninja character decorated in NYU colors.